Certified kennel, AKC registered, pedigree, health certified? None of the above. Dreamlandfrenchbullies.com is just another pet scam. Home – We are well experienced French Bulldogs breeders .Our puppies always go with health guarantees . Dreamlandfrenchbullies.com is not a puppy breeders website and this is not a review of Dreamlandfrenchbullies.com. This is a warning. 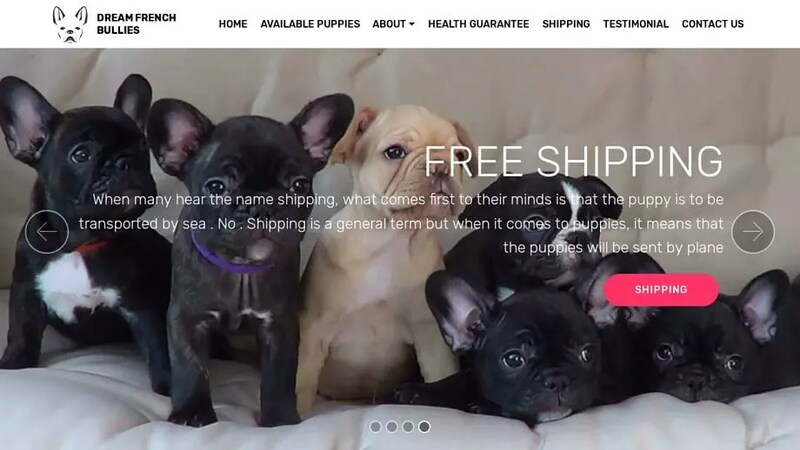 Dreamlandfrenchbullies.com will claim to deliver the puppy using a Fraudulent Delivery company. Dreamlandfrenchbullies.com was registered on January 23, 2019 with NAMECHEAP INC .
Dreamlandfrenchbullies.com was registered using the email address a83700ea69ea4fea89a1b7ad4b46ef94.protect@whoisguard.com. It was registered 2 months and 19 days ago on January 23, 2019 and expires January 23, 2020. To look at it another way, this “company” only started January 23, 2019 and does not plan to be using the website after January 23, 2020 as it has only a 1 year registration. Dreamlandfrenchbullies.com was registered with the domain registrar NAMECHEAP INC.
To send an abuse report to NAMECHEAP INC please click the red button below and complete the email to help shut down Dreamlandfrenchbullies.com! Lots of spelling errors too on that site.